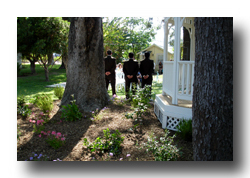 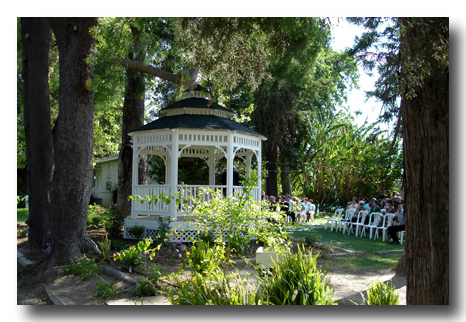 Our elegant and spacious wedding gazebo is nestled between century-old trees rich in character and history. 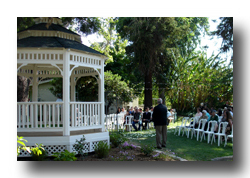 Lots of shade, lush green grass and colorful pastel plantings make the park gardens the "coolest" ourdoor venue around during warm inland days. 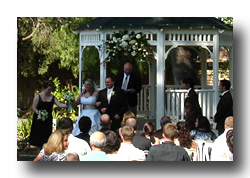 The raised floor of the gazebo puts you above the crowd and makes it easy for family and friends to capture every expression.